There’s a new trend in homes that’s been catching on for the past several years, and you’ve likely heard much and more about it… We’re talking about tiny homes, of course! While certainly not for everyone, they’re something that definitely makes sense for some. There’s just something liberating about having a small home in which to hang your hat, one that’s elegantly designed, beautiful and contains only what’s needed. With a tiny home on a beautiful plot of land, the homeowner is freed up in other ways. 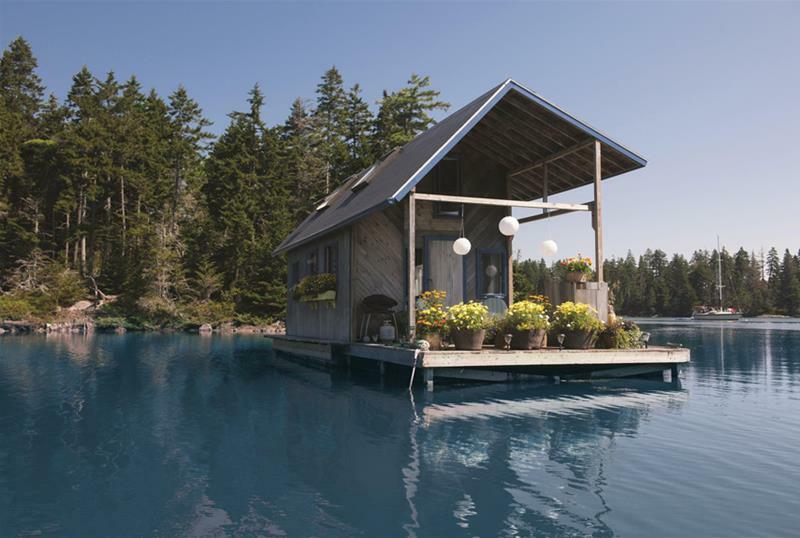 One can spend their money on vacations, entertainments and whatever else you might think of… But, it’s not what you can do when you have a tiny home… It’s how cool these tiny homes are! 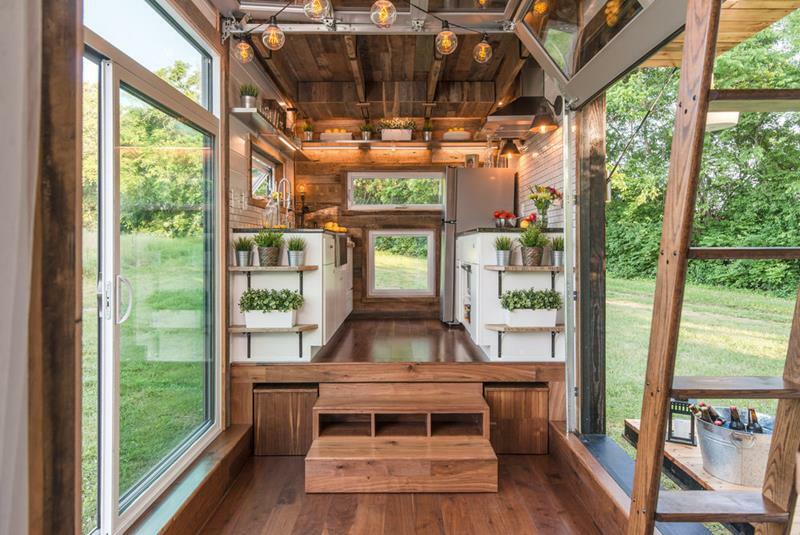 That’s why we thought it would be a lot of fun to take a look at 20 gorgeous tiny homes. 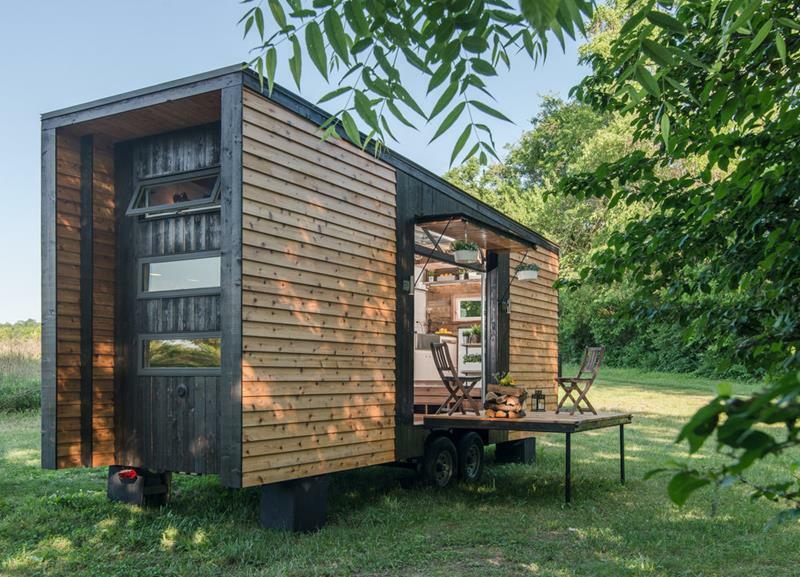 Even if the tiny-home lifestyle isn’t for you, you’re sure to find plenty to enjoy in the following 20 examples. So, come take a look! 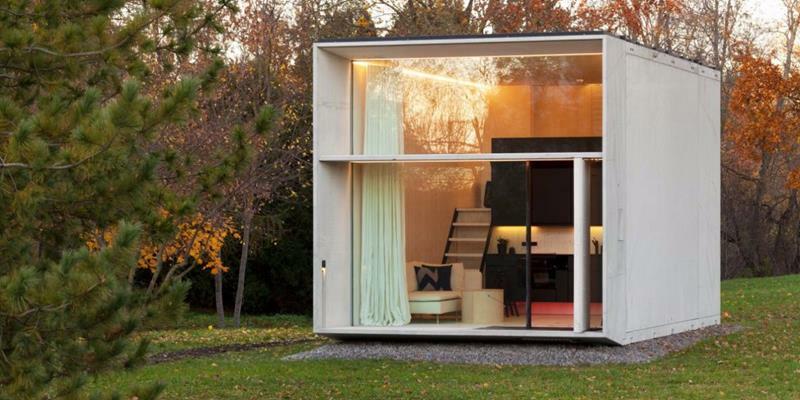 Maybe you’ll even get some ideas for a design idea that might work exceptionally well for your decidedly un-tiny home! The exposed beams and gorgeous stained wood give this tiny home a natural look that’s also quite contemporary given the square lines. Tiny homes can be done in any kind of design style you prefer! If you’ve got a yen for the contemporary, then you’re going to love this one! 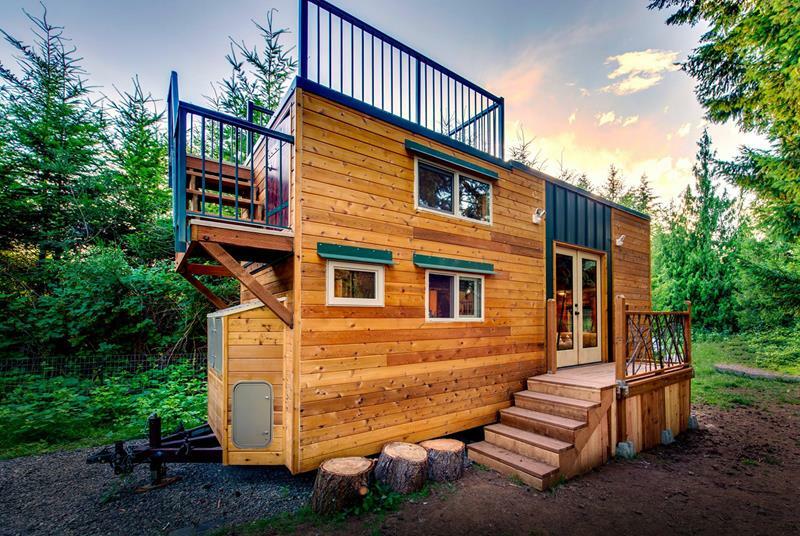 You’ve got to love how this tiny home provides a beautiful porch by including stairs that lead up onto the roof. 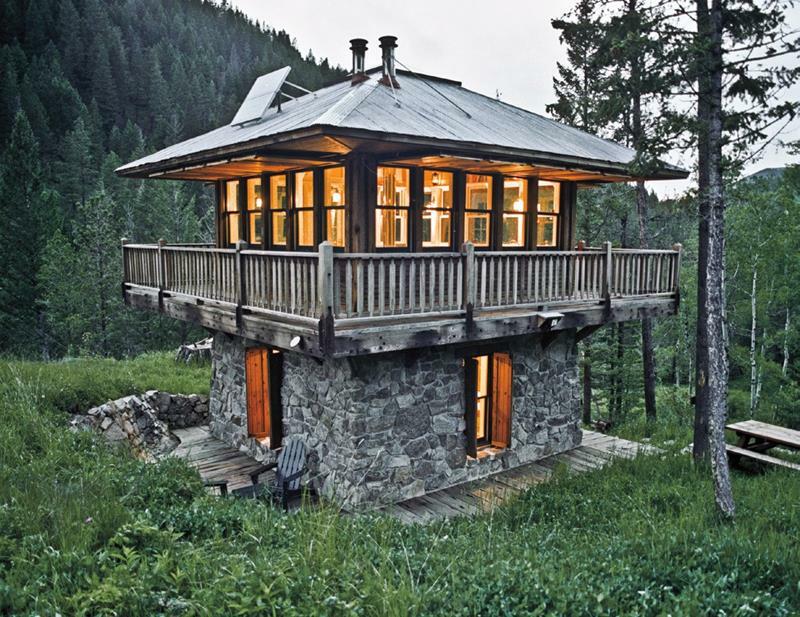 Designed to look like a watchtower, the wraparound porch on the second floor is something that’s sure to be enjoyed. One of the benefits of having a tiny house? Well, you can do something like this, which recalls the splendor of a tropical overwater bungalow.